The information presented on this page was originally released on February 18, 2002. It may not be outdated, but please search our site for more current information. If you plan to quote or reference this information in a publication, please check with the Extension specialist or author before proceeding. My 11-year-old son, James, went for a bike ride late last spring in our new neighborhood filled with forested areas, creeks, bogs and even deer. He came back out of breath from riding to tell me with excitement about a patch of flowers he discovered. Though he had never seen them before, he immediately recognized them as something special. He was right. 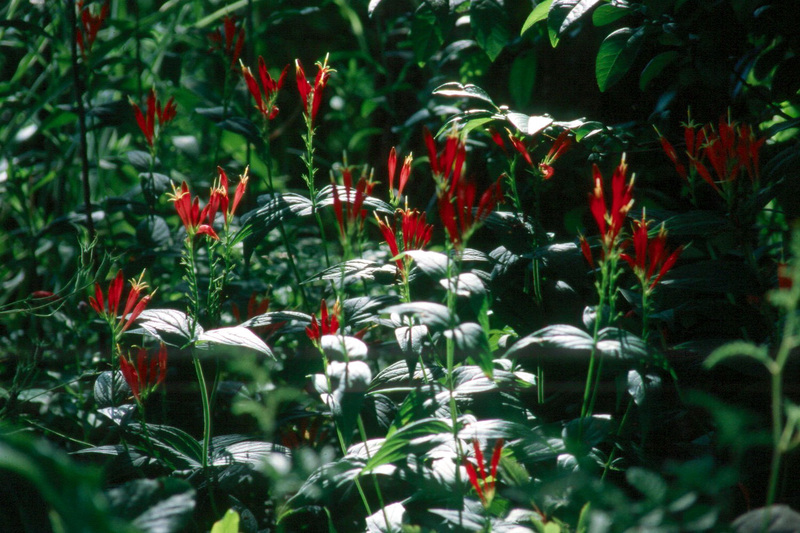 They were native Indian Pinks, known botanically as Spigelia marilandica. Each week this column appears in 15 to 18 daily papers and 30 to 40 weeklies. I can tell you unequivocally that when I write about a native plant, the calls and letters come in from everywhere. It seems that these native plants stir up a pride or passion that an imported plant could never do. It for this reason that I addressed some hard-to-find natives in a talk titled "New Plants to Make You More Money." This presentation was at the Gulf States Horticultural Expo in Mobile, which is a combination trade show and educational program for the Mississippi, Louisiana and Alabama nurserymen. Sure, I was trying to stir the pot up for new flowers of every sort, but I also chose to give them a dose of these native flowers that everyone loves, but which are harder to find than a four-leaf clover. They are easy to find at the roadside or in the woods, but it is rare to find them at a garden center. I do believe the natives can bring in added revenue to the garden center. One such native is the Indian Pink, also called Carolina Pink and Worm-grass. None of these names comes close to describing the beauty of these flowers and in fact, may be part of the marketing problem. It may be the equivalent of tagging the name weed on the end of a plants name, such as Joe Pye Weed. The flowers are tubular in shape and about 2 inches long. Though called Indian Pink, they are bright scarlet on the outside. The scarlet opens up at the tip into a star-shape revealing a glowing yellow on the inside. Operation Ruby Throat, the Internet's most comprehensive hummingbird site, lists the Indian Pink as No. 8 on the top 10 native plants for the Ruby Throated hummingbird. As the species name marilandica might suggest, this tropical looking plant is native from Maryland to Indiana, Missouri and Oklahoma, southward to Texas, then eastward to Florida. I am always getting questions about what to grow in moist, partially shady areas. The Indian Pink would certainly be a great one to consider. This is a good clump-forming perennial that usually blooms in the period of May and June and reaches about 2 feet in height. 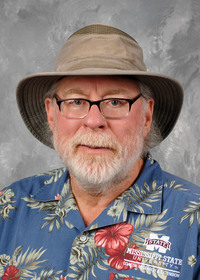 Dr. Allen Armitage with the University of Georgia and a renowned flower expert says this: "The upright, tubular flowers stop people dead in their tracks." It is great when an expert says something like that. The proof in the pudding, so to speak, is that when the flowers capture an 11-year old boy's attention, you know they are something special. To get Indian Pinks for sale at the garden center will take a cooperative effort: the garden center and consumers with our wallets. As gardeners, we must ask for these plants; the garden center will need to get them and let the world know when they arrive. It was just a few years ago that there wasn't an herb section at the garden center and few perennials. Now, they both have their own sections. Perhaps next will be the native flower section where we will not only find Indian Pink, but Joe Pye Weed, Louisiana Phlox, Mist Flower, Spider Lily and Stokes Aster.